Posts have been lagging lately since I have been busy trying to get this beauty completed. 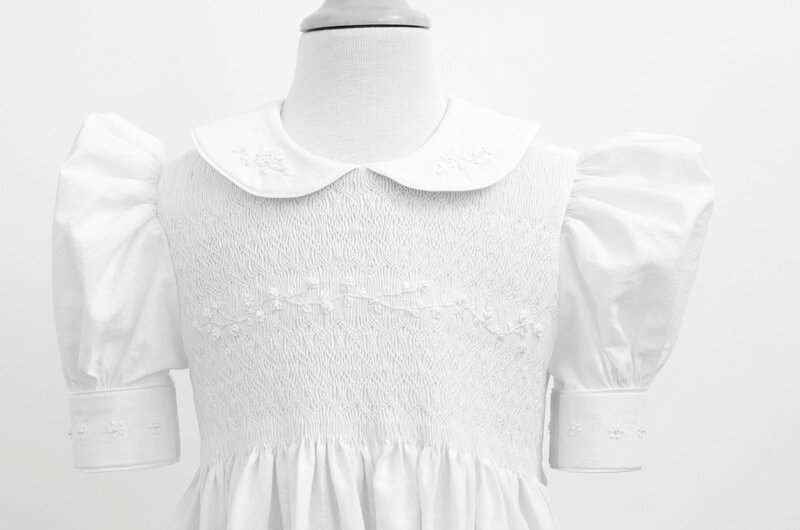 I have been trying to get the nerve to make an infant christening gown and took this order because I thought it would be great experience to work with an all white restriction. It took about 4 weeks, from order to completion, and I think it turned out beautifully. The dress is based on the Embla dress pattern in my Etsy shop, except it is completely white. 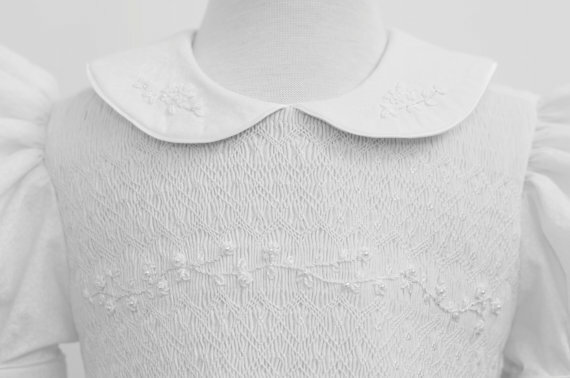 All white fabric, smocking, and ALL the embroidered flowers, vines, etc. are a shade of white. The real challenge with this dress was figuring out how to keep the embroidery interesting without any color. This meant that I had to rely on texture for the variety. The child’s name and baptism date was also embroidered on the inside hem of the dress, in, you guessed it, white. Perhaps this will open the door to more baptism gowns and first communion dresses. I am just hoping that this one doesn’t get lost in the mail. Just beautiful! You did a wonderful job on this. Yep…I think you have the white on white down pat! There’s something so special about white-on-white. You’ve done a beautiful job on this dress!